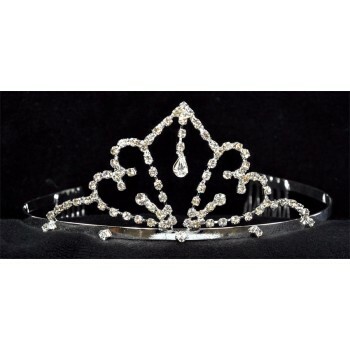 All metal child-size tiara with gorgeous rhinestone detailing. Beautiful ornate styling gives these creations a luxurious look for a very affordable price. Has metal combs to hold them in place.